Congratulations to the Tipperary senior hurlers on defeating Clare by 3-18 to 1-22 to qualify for the Munster Senior Hurling Championship Final in Semple Stadium on Sunday July 12th. It will be Tipperary’s first Munster senior hurling championship game against Waterford in Thurles since 1973 when Tipperary won by 1-16 to 2-8. Jimmy Doyle lined out in goal for Tipperary in that game in last championship appearance for Tipperary. Tipperary’s senior footballers drew Louth in the football qualifiers draw on Sunday night last. The game will be played on Saturday July 4th at 7pm in Drogheda. Tipperary were defeated by Limerick in the Munster Championship quarter final while Louth lost to Laois in the Leinster Championship quarter final having defeated Carlow in the first round. The GAA 125 Munster Final weekend in Thurles from Friday July 10th to Sunday July 12th promises to be a weekend to remember. While the Munster Minor and Senior Hurling finals will of course be the highlight of the weekend, there will be a varied and entertaining programme of events for the public commencing on Friday night, July 10th. That night there will be a Historical Presentation in The Tipperary Institute at 8pm. On Saturday, July 11th there will be an U-12 Hurling Blitz at 11am in Dr. Morris Park with participants from all Munster counties. Also at 11am the Munster Poc Fada final will take place at Thurles Racecourse. At 7.30pm there will be a special GAA Mass in Thurles Cathedral. At 8.30pm there will be a Munster Final “Night at the Dogs” at Thurles Greyhound Stadium with half price admission for patrons wearing their county GAA jersey. Also at 8.30pm Open Air Entertainment will commence in Liberty Square at which the new Tipperary GAA 12 track CD featuring the winning Tipp GAA Supporters Song “The Mighty Blue and Gold” will be launched. At 9pm the torch run from Michael Cusack’s home in Carron, Co. Clare commemorating the 125th anniversary of the GAA will conclude in Liberty Square. The torch will leave Carron at 12 noon on Saturday and will be brought by Clare clubs to Limerick where it will be handed over to be brought through Limerick City by Limerick clubs. At 6pm it will be handed over to Tipperary at Finnegans outside Limerick City and will be brought via Newport to Thurles by the clubs on the route. 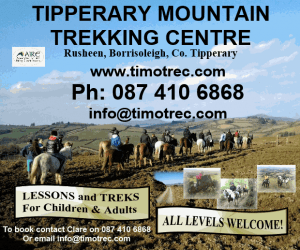 More details of the trip through Tipperary will be available next week. On Sunday the torch will be carried by former players from the Munster counties from Liberty Square to Semple Stadium arriving between the Minor and Senior games. It will be brought into the Stadium by Tipperary and Thurles Sarsfields hurling legend, Jimmy Doyle, who graced many Munster minor and senior finals with his unique skills. Other events on the Sunday will include the Guinness Gig Rig in Liberty Square from 10am and entertainment from the Artane Boys Band in Liberty Square from 12.30pm. Tuesday June 9th saw the launch of VHI GAA Cul Camps 2009 in Dr Morris Park, Thurles. Proceedings commenced with a Smart Touch Hurling and Football Go Games Blitz. Two hundred boys and girls from schools in West and South Tipperary took part in this end of school year blitz which was organised by Games Promotion Officers, Kevin Halley and Johnny Cummins. A special word of thanks to Johnny and Kevin along with the Club School coaches, who organised the games and thanks also to the parents and others who came along to support the children. The official launch of the VHI GAA Cul Camps was opened by Dinny Maher, Tipperary County Games Manager, who thanked VHI for their continued sponsorship of the camps. Forty Four Clubs will host camps this year catering for an estimated 4,000 children. Eighty qualified and fully trained Coaches will be employed over the course of the Summer. Each participant will receive a VHI GAA Cul Camp Kit which includes jersey, togs, socks, kit bag as well as a medal and certificate of enrolment. On behalf of main sponsors, VHI, Karen Ryan wished everyone involved the best of luck, especially the children who will be participating and the clubs who will be hosting. This year Tipperary are again delighted to be in a position to offer ten free places to Barnardos, the child welfare organisation. Mary O’Gorman, on behalf of Barnardos, expressed her appreciation to Tipperary VHI GAA Cul Camps and the VHI. She said that the ten free places would make some less fortunate children very happy. The 2009 VHI GAA Cul Camps were then officially launched by Liam Sheedy, Tipperary Senior Hurling Manager, who was also accompanied by senior hurling panellists, Shane McGrath and Seamus Callanan, who are also VHI GAA Cul Camp ambassadors, and Andrew Morrissey, captain of the Tipperary Senior Football team. Liam in his address encouraged as many children as possible to avail of the camps. He wished the organisers and clubs well and also stated that the Tipperary hurlers would be delighted to visit the camps. We are very grateful to Liam, Shane, Seamus and Andrew for attending. With Tipperary in the Munster Senior Hurling Final, we are asking you to show your support by encouraging your family and friends, at work or in your club, to join up as 2009 members. If you could sell even a small number of memberships it would be greatly appreciated, as significant team preparation expenses are incurred at this time of the year for travel, meals, specialist training and medical treatment. 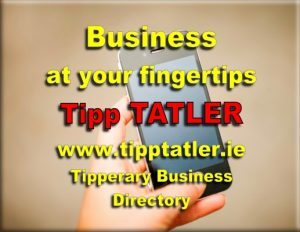 To find out the details just call John Coman on 087 9087105 or email info@tippsupportersclub.com. New members are still in time to be entered in the draws for Championship match stand tickets and the All-Ireland Hurling Final Weekend prize (match stand tickets and accommodation in www.louisfitzgeraldhotel.com included). In addition every member receives a membership card, car/window sticker and an attractive, specially-designed lapel badge. Membership fee is €30 and can be paid on line (by credit or laser card) on www.tippsupportersclub.com, or by sending a cheque or postal order payable to Tipperary Supporters Club to John Coman, PRO, 52 Hazelbrook Road, Terenure, Dublin 6W (phone 087 9087105) or by calling in to the premises of Tony Lowry, Main St, Tipperary Town; Jerry Moynihan, Gladstone St, Clonmel; or Noel Ryan, Parnell St, Thurles. Good luck to all the 50 participants in the Tipp FM GAA Masterclass 2009, which will take place in Semple Stadium this Saturday June 27th. The annual Tipperary Allianz Cumann na mBunscol Hurling and Camogie Finals took place in Semple Stadium Thurles, over two days on Tuesday, 16th June and Wednesday, 17th June. The boys and girls put on an exhibition of hurling and camogie for the great crowds who turned out on the day. Thanks are due to Semple Stadium caretaker, Philly Butler, and to Jimmy Purcell, Jim Max and Andy O’Gorman for ensuring that everything ran smoothly. Well done to referees Michael Jordan and Christy McLoughlin who both did excellent jobs. Special praise is due to Cumann na mBunscol Secretary Aodán Wrenn for organising such a successful two days. DVDs of the 2009 Hurling Finals are available from Michael Trehy Video Productions and all orders will be taken on 086 2755805. Teachers of the different schools can place their orders with Michael. Prices: Single Match: €20. Double Match Box Set: €25. All match reports and photos of the Finals are on the Allianz Cumann na mBunscol website http://cnmb.tipperary.gaa.ie. Chairman of Cumann na mBunscol, Paddy Kelly, would like to extend his thanks to Tipperary’s County Board and of course to all those at Semple Stadium who contributed to making the Finals so successful. A limited reprint of the book “Tour of the Tipperary Hurling Team in America, 1926” by TJ Kenny has been privately commissioned by a grandson of one of the players on the tour. The book tells the story of the 1925 All Ireland champions’ tour of the USA in 1926 where the team, captained by the famous Johnny Leahy and containing many legendary hurlers, were undefeated in the six games they played. The author, Tom (TJ) Kenny of Portroe, was a member of the touring party and his book recalls in beautiful prose the journey from the East Coast to San Francisco on board the Union Pacific Railroad. For those interested in purchasing a copy, please contact Kenny’s Bindery in Galway on 091 709362 or PJ Maxwell in Nenagh by phone on 067-33674 or 087-9588233 or by email on pjmaxwell@eircom.net.